Keyboards, organ and synthesizers - The genres rock, classical music and cinematic drama. 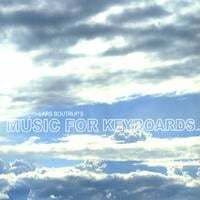 Lars Boutrup´s Music for Keyboards: - Keyboards, organ and synthesizers - The genres rock, classical music and cinematic drama. If your are curious to know what this combination sounds like - Music for Keyboards is the album to check out. The man behind the album is the keyboard player and composer Lars Boutrup. After years in the business with rock, silent movie music and classical music. Performance as well as composing, in all sorts of different constellelations. Music for Keyboards is an album with both beautiful numbers to reflect on and sense the universe to. There are also moments where you can have a laugh and freak out to funny synthesizer sounds and melodies. Sometimes it even gets a bit scary. The album is mainly composed on keyboards, organ and synthesizers. But within in this frame you will also find all sorts of elements from stringers and gongs to the sound of the ocean in stormy wheather. It´s different, it´s exiting and it´s something you simply need to hear. The drums played by Fredrik Sunesen are supporting and adding to the unique heartbeat of Music for Keyboards. There are both groove, humour and depth in his play. What unites all these element into a whole are Lars Boutrup´s sense of harmony, a good tune and the love for each instrument. As well as his ability to lighten everything up just when you thought the sun would never shine again. We hope you will check the album out. Perhaps even tell your friends and family about this unique piece of art. Or simply check it out the samples to decide for yourself. We´ve been told that Agent Orange is a great number to get into a great mood, perhaps you would like to test it yourself. Thank you for taking your time to read about Music for Keyboards. We hope you will get to enjoy the album.